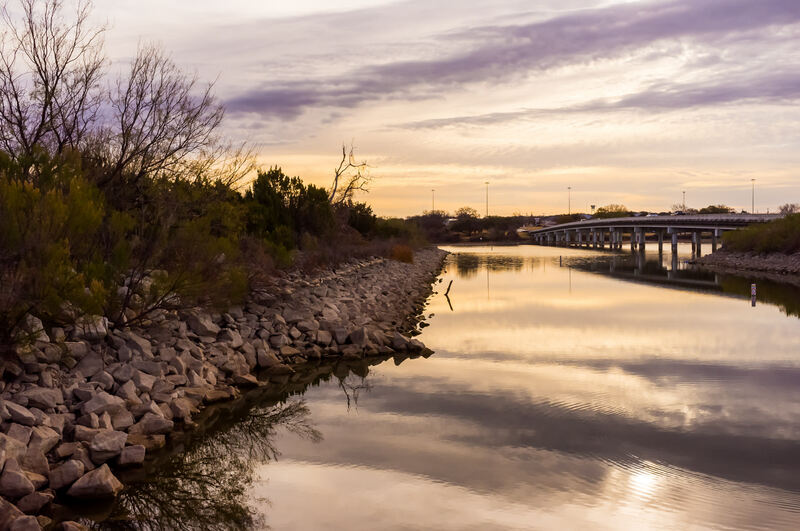 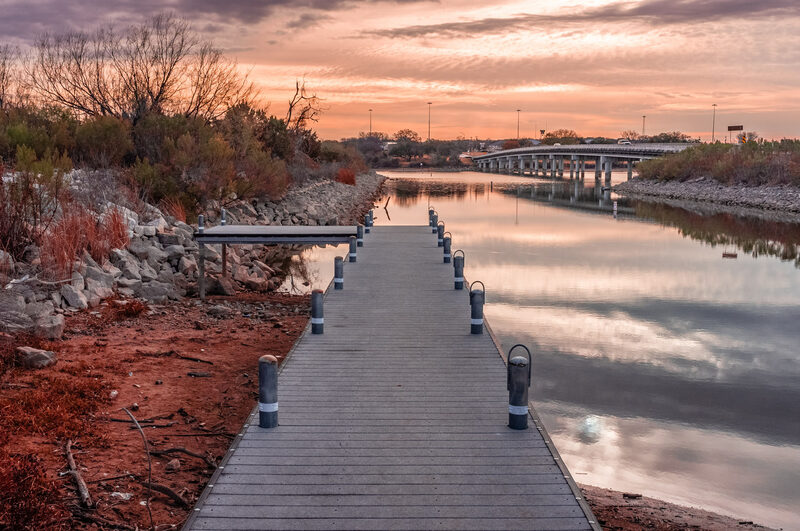 A pier—made almost useless by low water levels—greets the morning sun at Lake Granbury, Texas. 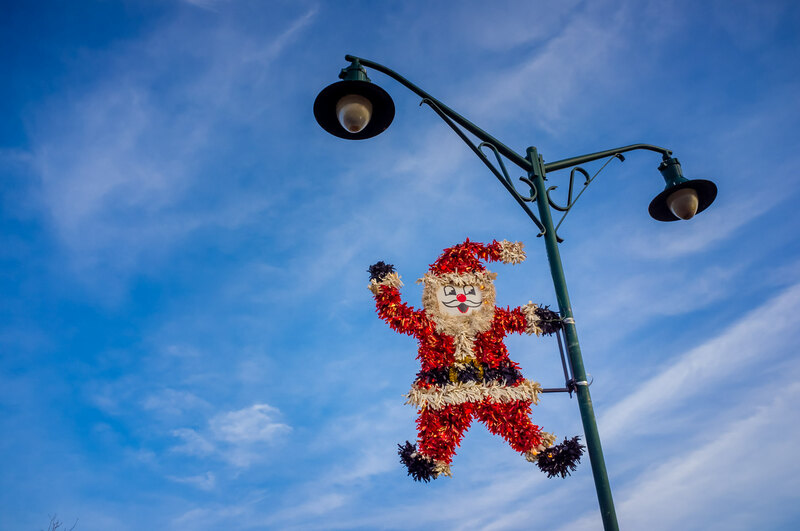 A decorative Santa Claus Christmas decoration hangs from a light pole in Granbury, Texas. 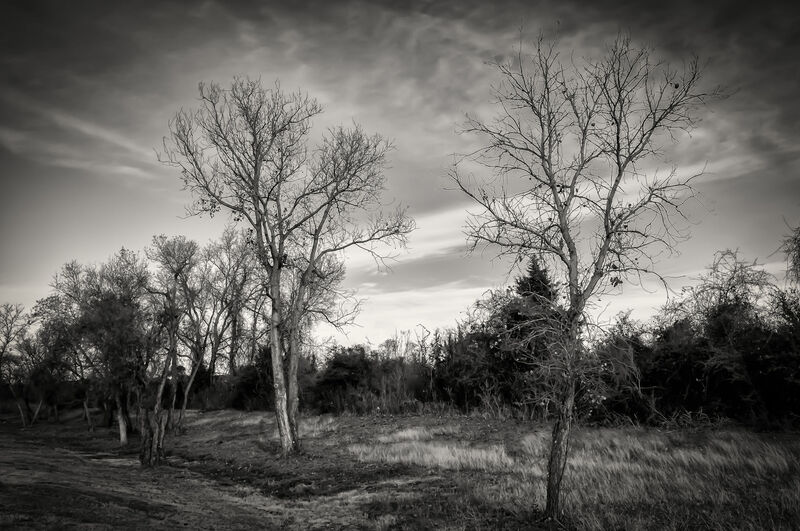 Trees on a cold winter morning in Granbury, Texas.